Retention policies and maintaining client files is one of the more common questions that local Bar association members ask during Chandler & Moore Law’s Legal Ethics and Professional Liability Seminars. The primary Georgia Bar Rule that applies to record keeping is 1.15(I)(a) Safekeeping Property – General. The Rule requires that funds and “other property” shall be maintained for six years after termination of the representation. The “other property” language could mean client files, but the Comments seem to point to securities and other valuables that require special handling, like a safe deposit box. As an aside, Georgia Bar Rule 1.16 Declining or Terminating Representation also applies, but focuses more on the requirement to hand over papers and property, rather than the timing. Of course, recall that you cannot prejudice a client by withholding file materials upon withdrawal. See FAO No. 87-5. Remember, you cannot condition the return of a client’s file materials upon the execution of a release of claims or a release of State Bar complaints. See FAO No. 96-1. Six years is prudent as a general guideline, if for no other reason than the statute of limitation for a legal malpractice case may be six years from the date of the negligent act if there was a sufficiently complete written contract for representation. See Newell Recycling of Atlanta v. Jordan Jones & Goulding, Inc., 703 SE2d 323 (Ga. 2010). Of course, if you don’t keep a copy of files after the representation ends, you will find it more difficult to defend yourself later in a malpractice claim or disciplinary matter. It’s not wise to rely on the client to produce a complete copy for you to use in your defense. And if you can’t mount a defense with the use of the complete file, your insurance carrier may find that your actions prejudiced the defense, and insurance coverage could become an additional problem. Avoid these potential hassles by retaining an electronic copy of the client’s file. To save electronic storage space, burn the files to DVD and store them in a secure location. Should you keep the files longer? 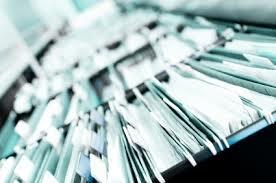 Some CPAs recommend keeping financial records for as many as 10 years. But, there’s no ethical requirement for lawyers to keep files for that length of time. Some recommend storing client files “forever,” under the premise that the lawyer retained certain duties to the client into the future. While low cost, keeping electronic copies forever could create a cyber security risk over time. Make sure you disclaim any future duties to the client in writing at the end of each client matter. When the matter concludes and you send a settlement closing statement or thank you / closing letter. 30-60 days before files are destroyed under the firm’s retention policy. Documents with original signatures may require some extra effort. Return important originals (with receipt confirmation) when the matter is concluded. If you can’t receive confirmation, consider holding wills, deeds, and other security documents indefinitely, as a good customer service practice. Keep it simple: conduct a year-end file review to identify all client files eligible for destruction under the retention policy. After notifying the client, review files to segregate documents with original signatures, preserve copies electronically, and then shred the files. Of course, incorporating scanning into daily operating procedures seems to be the most reliable, efficient and cost effective policy. And if files are electronic, then no shredding is necessary. Chandler & Moore Law regularly speaks about legal ethics, professional liability, and risk management to help attorneys deal with GA State Bar disciplinary matters, and malpractice and grievance prevention. For more information on scheduling a seminar for your firm, local Bar Association, or group, please contact us. If you can’t make it to a seminar, please join the Attorney Ethics and Professional Liability LinkedIn group to read articles and updates from other attorneys and participate in the online discussion.